As many of you know, one of the Nodes in my COM is a friend by the name of Scott. Having a different educational background than my own and different world experiences, he has assisted in the development of The COM concept and The Pub Club approach. Scott went to college for Applied Technology and Business, and one of the courses he took was “Tools and Their Uses.” He explained to me how this course had a practical application – don’t drive a screw with a hammer – as well as philosophical one. This course taught the importance of proper and continuous maintenance of your tools as well as the right tool for the job and how to use it best to get the job done. The Pub Club has developed our own set of tools with these lessons in mind. On TPC Mission page you will see the top tools we use to accomplish that mission. Like all tools, however, their effectiveness relies on proper use and the right sub-tool. For example, a saw without a blade will not cut, so you require a blade, but that alone is still not enough. First, you must select the right blade for the job. Second, the blade must be installed (applied) properly – a blade installed backwards will be of little use! Third, the tool must be used as designed to produce the intended result. Finally, the saw and the blade must be properly maintained to be able to produce the same results at every use. In this post, we will describe The Pub Club tools as well as how to properly apply them to get the desired outcome. The first of The Pub Club tools is The Meeting, the most important of which is TPC’s weekly Gathering. The gathering itself offers the opportunity to learn from each other, to gain from and provide support for our peers, and to build Diverse Skills. The Diverse skills that can be gained include organization, budgeting, communication (written & oral), leadership and collaboration to name a few. However, these skills can only be attained if the Gathering tool is used properly. Experience from experimentation has shown that for the gathering to be a success it must be accessible, consistent and, as stated in the last post, Student Driven/PI-Supported. The gathering must be held every week at the same time and the same place. This consistency and frequency not only allows members to count on the gathering to be there, but to make it a part of their routine. Attempts to use this tool bi-weekly, monthly or seasonally have all proven to not only lower the attendance but, ultimately result in zero attendance. Other lessons we have learned? The gatherings must have structure but remain informal. Members have shown they prefer to know what Topics they will be discussing in advance to maintain a consistent interest, but they will only continue to attend if the discussion structure remains informal. Gatherings cannot be handled like a seminar or a journal club. Finally, the key to achieving the best results with this tool is active participation. The Pub Club and The Meeting offer many opportunities for active members to add to their cover letter, resume and/or CV, but members can only improve their communication if they take the opportunities TPC offers to communicate. Likewise, members cannot improve their organizational, leadership or budgeting skills sitting inactive at the back of the room. The sub-tools of the weekly gathering are snacks and the Aquos Board. Like any tool, The Pub Club tools will only perform equal to the quality of investment. 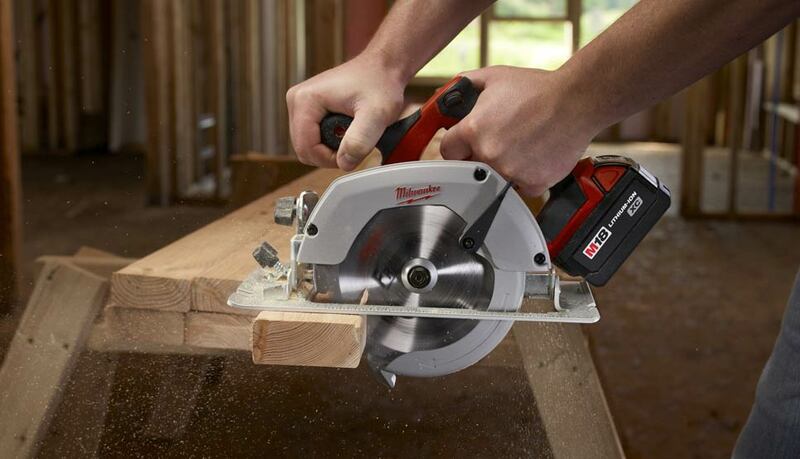 You can buy the $29 saw, but don’t expect to get the results the $129 saw will produce. Alternatively, you should not expect to get more out of the $189 saw just because it has a gold handle! Take snacks for example. TPC has a protocol for its snack program to ensure quality, timely preparation, clean-up and reimbursement. Sure, it might be simpler to just buy the 99¢ cookies as commonly provided at many of our department seminars. But cold cookies on a tray are no where near as effective at dragging people down the hallway as a Crockpot full of meatballs slowly cooking all afternoon, or, The Pub Club favorite, hot and tasty chicken wings from Eastside Fish Fry. Snacks like that will get them every time. The Diverse Skill bonus is that members who bring snacks work within a budget and must calculate what food they need for the average attendance. They also need to manage their time to acquire, produce and present the snacks when the gathering begins. Meetings like the Christmas party and summer BBQ require larger menus that, by necessity, produce opportunities for collaboration, communication, and organization on top of the snack skills already mentioned. I will just quickly say a tool unused is not only a wasted investment but a missed opportunity. The Aquos Board, or a Whiteboard if that’s all you have, offers the opportunity to better interact with other members as well as to improve your skills. The second tool is The COM’s website, The Hub Originally ThePubClubHub, the website has grown into a resource for the greater COM while maintaining its utility for our local TPC Community, including a dedicated TPC page. The Hub might be the most useful and the most underused tool at The Pub Club member’s disposal. For example, on Sept 30th 2016 The Pub Club used our weekly gathering to hold one of two planned RCR meetings of the semester. Joe did a wonderful job leading this discussion, and we thank him for being an active member and volunteering to lead this meeting. Joe’s chosen topic was “Ethical Peer Review,” an important topic to be sure. My question is, how many members realize that for almost two years an entire page under “Resources” on The Hub has been dedicated to… wait for it… Writing and Peer Review? How many members took advantage of this resource prior to the RCR gathering to prepare for the discussion or have referred to it for support in their writing? This is just one example. The website was named “The Hub” because this is an all inclusive term: “the central and most active part or place” as Merriam-Webster defines it. The Hub is intended and designed to be the central place for communication, collaboration, research, and more. Besides having many resources and links, it has six RSS feeds for scientific journals with the latest three articles published in each. The Hub also has The Whiteboard, which is our posts page. This page not only offers a great resource for information, but the opportunity for members to practice their written communication skills by submitting posts and comments. Another requested opportunity The Hub provides is our “Forums.” The forum feature of The Hub was used by past Python Group members to log progress and information in their sub-club. Last May, at the end of our Skype Mini-Conference with Weigel World, the request was made to add a forum to facilitate a continuing discussion between our labs and others. In response, The Hub Net forum was added to provide the platform for this discussion. We are still watching and waiting for the discussions to begin! The Hub is the ultimate multi-purpose tool with endless potential and possibilities for active leaders and members alike. The third tool is The Newsletter. Every week a newsletter called “Keeping up With The Hub” is produced and sent to 90 plus members, alumni, non-members and Mug Club’rs to assist us in “Meeting on The Edge of Science.” The Newsletter is a sub-tool of both The Meeting and The Hub; its purpose is not to replace either but to support and promote participation in both. The fourth and one of the most valuable tools is The Mug Club. The Mug Club is made up of professionals who have taken time out of their busy schedules to attend and guide the discussion at one or more TPC Meetings. Whether at our weekly gathering or at a special event like our summer BBQ, their knowledge and experience is a valuable resource we are honored to have access to. Again, this tool must be used properly for the best result. The informal discussion structure that TPC maintains offers the opportunity for a personal interaction with each of our guests that produces the broadest and most valuable results. As has been shown in “New from The Void” (formerly on the front page of The Hub), in order to get that Postdoc or Assistant Professorship we must have “Evidence of…” or a “Demonstrated…” ability to do many things beyond the Bench. The Pub Club and its tools bring to us the opportunities to acquire and perfect these skills. All we have to do is accept the offer. To end where we started, every tool has a proper use and the proper sub-tools. Any tool not used as designed will not produce the desired result. A tool not properly maintained will not produce a consistent result and will ultimately fail. Lastly: ANY TOOL UNUSED IS GUARANTEED TO PRODUCE NOTHING!